Wouldn’t it be great if someone gave you a grandfather clock for being an awesome RVer? Unfortunately, we haven’t heard of such an award, but we can think of the next best thing, an RV trip to Martinsville Speedway to watch cars scream around the track. The winner of Martinsville races is awarded a grandfather clock, and while I doubt the NASCAR winner will pass it along to you, you’ll still be able to witness a great race and a great trophy with your trophy of an RV waiting for you. Let’s check out RVing at Martinsville Speedway. We’ll give you some information on the track, where to stay in and near Martinsville Speedway, as well as some tips and tricks to put you ahead of the pack. The rest is up to you. Martinsville has a long and established history with NASCAR. This track has the distinction of being both the shortest track in the NASCAR Sprint Cup series as well as one of the first paved oval tracks in all of NASCAR. NASCAR has been running races at historic Martinsville since 1948, making it the oldest NASCAR track that still currently hosts races. 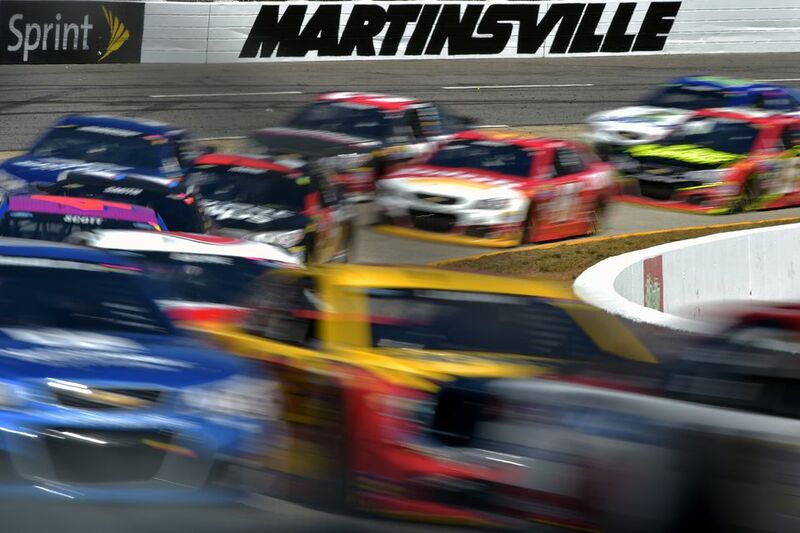 Martinsville, Virginia currently hosts a spring and fall race for the NASCAR Sprint Cup series. There are many options when it comes to RV camping at Martinsville Speedway. Unfortunately, we can’t list all the details about RVing at Martinsville Speedway but here are some site options to give you an idea of what to expect when RVing to Martinsville Speedway. Martinsville is such a short track; there are no RV sites within the infield. For more information about RV camping at Martinsville, please visit their camping page. RVing straight to the track is not the right fit for everybody. Here are a couple of great nearby RV parks with more features and amenities compared to Martinsville. Indian Heritage RV Park is a great RV park located within a hop, skip and jump to Martinsville Speedway. Full hook-up RV sites with both 30 and 50-amp service as well as your fire ring. Camping at Indian Heritage gives you nearby access to groceries, laundry services, restaurants and propane refill. Other amenities and features at Indian Heritage RV Park include lounge room, game room, heated bath and shower facilities and quick access to the river for on the water fun. With less than 3-miles between you and the speedway, you could walk to and from if you want to on race day. Not quite as close as Indian Heritage but Goose Point Campground is within 20 miles of the track. Goose Point is a located in a quiet area near many of the great outdoor features the local area has to offer. There 53 sites with water and electric hookups and Goose Point also hosts shower/bath facilities, playground, outdoor amphitheater, dump station, water station, fishing pier and group use facilities. Goose Point Campground is close to 5,300 acres of public land, so you have plenty to explore the local area. It's a 40-minute drive from Goose Point to Martinsville, make sure to leave early and leave plenty of time to get to the speedway and park race weekend. Fairy Stone State Park is located less than 25 miles northwest of the speedway and is known for its hunting, fishing, and hiking. This huge park offers RV parking, tent camping, and bunk-style lodges. 50 sites also offer water and electric. A dump station is on site, along with restrooms and showers. A concession area is also available during the summer months to travelers. If you stay at Fairy Stone, consider the 30-minute drive to Martinsville and plan to leave early to avoid getting stuck in traffic on race days. RVing to this historic short track is a surefire way to have a good old NASCAR time. Use this resource in combination with forums and information from Martinsville to enjoy your race weekends in Virginia.